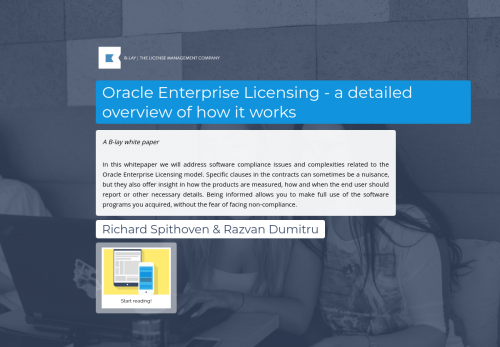 In this whitepaper we will address software compliance issues and complexities related to the Oracle Enterprise Licensing model. Specific clauses in the contracts can sometimes be a nuisance, but they also offer insight in how the products are measured, how and when the end user should report or other necessary details. Being informed allows you to make full use of the software programs you acquired, without the fear of facing non-compliance.